A great many street rods built in recent years adopted steering columns from late-model Chevrolets built in the 1980s and 1990s. Today, a few decades later, it would be fair to say that those columns are being replaced by units that deliver a much improved driving experience over OEM. 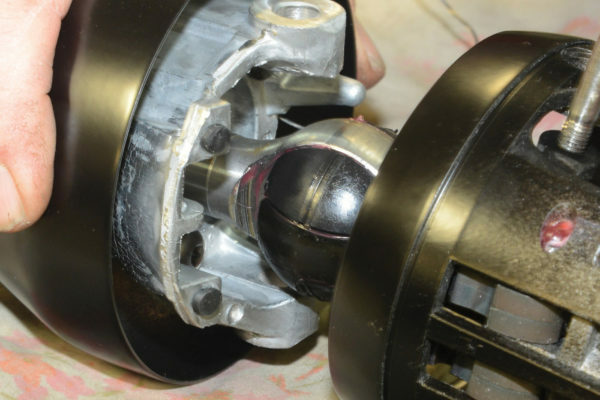 It’s not because the OEM assemblies had some fatal flaw — it’s just that by today’s standards, they are less able to satisfy aftermarket requirements. 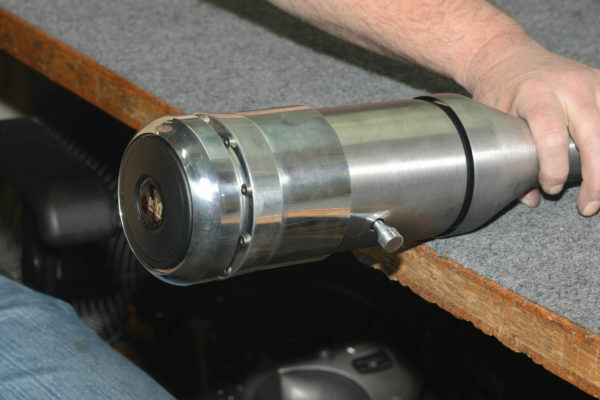 Perhaps the most notable advancement in the evolution of the modern steering assembly is a tilt mechanism. 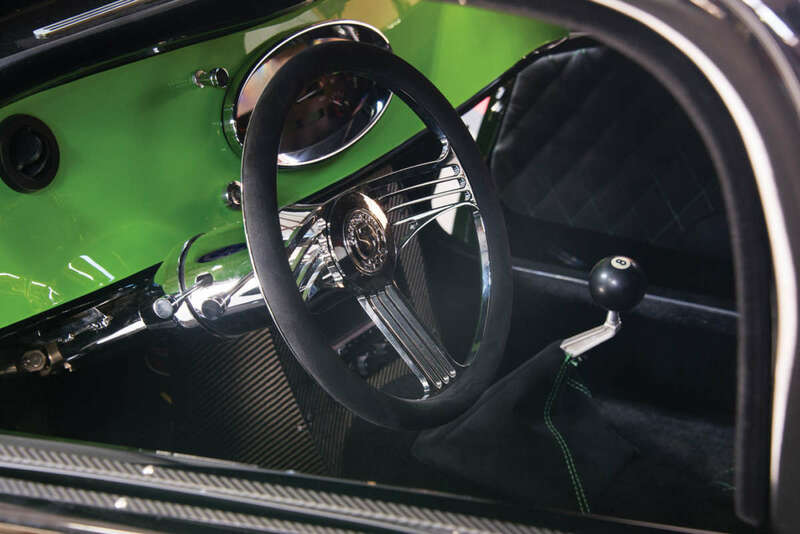 This feature was initially introduced to street rods of the 1930s style to bring about a more comfortable steering wheel angle, since some discomfort resulted from the awkwardness of the original near-vertical column. In addition, tilt provided welcome relief, particularly on entry and exit from under a low steering wheel (often the case on a Cobra replica), or tall seat (especially for those drivers with generous proportions). Though the technology gradually evolved into the familiar five-position tilt, modern mechanisms like these from the Tecumseh, Michigan, firm ididit further refined the device to incorporate eight positions. 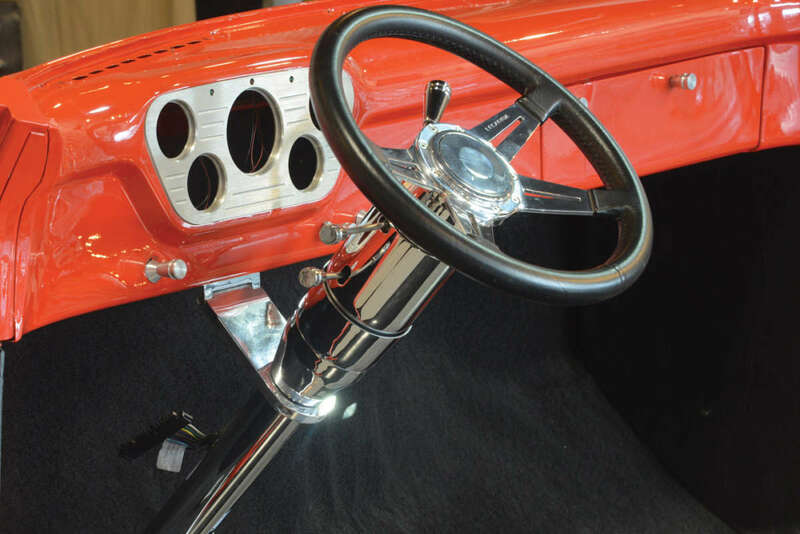 As such, these steering columns conveniently arc through a total of 35 degrees, with three positions above the center location and four below. Installing the column is within the grasp of most handy street rodders, Patrick explains. 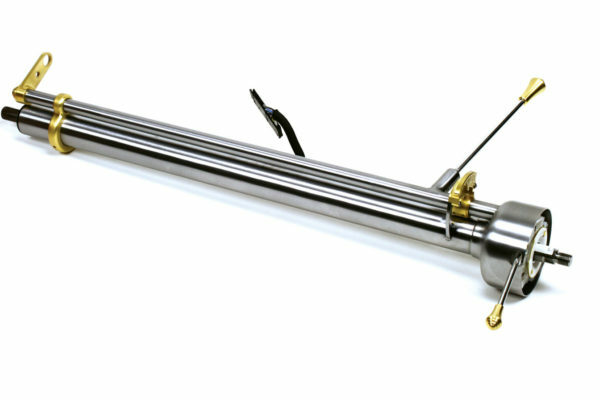 Aftermarket columns with or without tilt are available in any length and will mount in virtually any rod or project car. Setting up a steering column in a new build, however, may require cutting a hole in the firewall to accommodate it. Then, to ensure that the column doesn’t strike the headers and other components in the engine bay, it is best to have the engine in place. 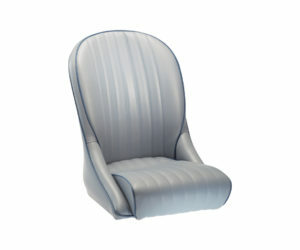 To check the layout for comfort and clearance, simulate the position of the finished column assembly by using a wooden dowel or a length of PVC tubing with a pie plate attached to its upper end to act as the steering wheel. The top part of the column is secured to the dash by a drop link, available in multiple lengths. The bottom part of the column is usually secured by a ball-style floor mount. The ball, which generally swivels between upper and lower rings, accommodates the angle of entry of most columns. Slip the ball arrangement onto the bottom of the column, insert the column through the hole in the firewall, and secure it to the floor using a mounting flange on the underside. 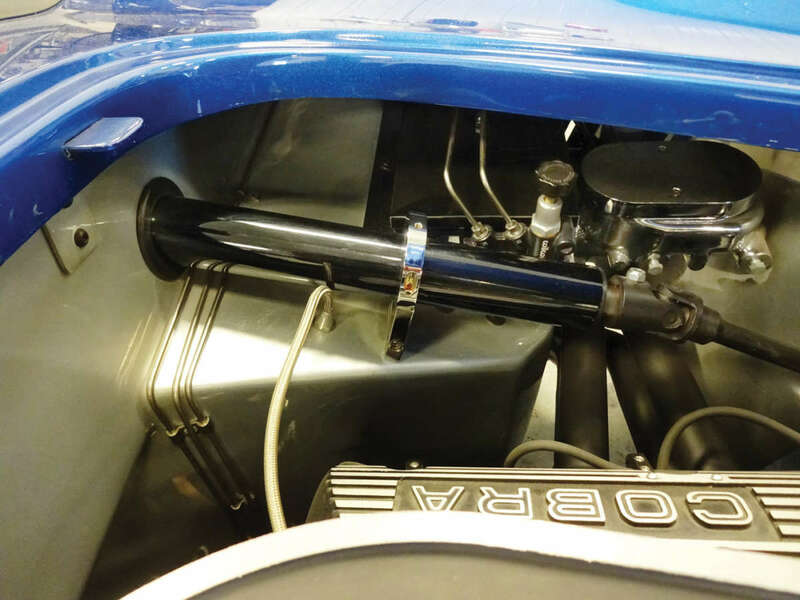 Unlike modern cars, street rods are usually blessed with the advantage of having their columns attached to hydraulically power-assisted steering racks. These are usually well-weighted, sensibly geared and fairly precise. 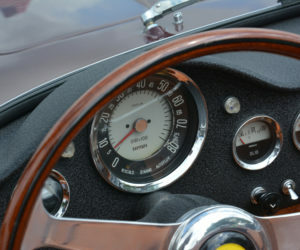 In contrast, modern electric steering racks were not honed to provide driving pleasure, as almost all of them suffer from insufficient feel. 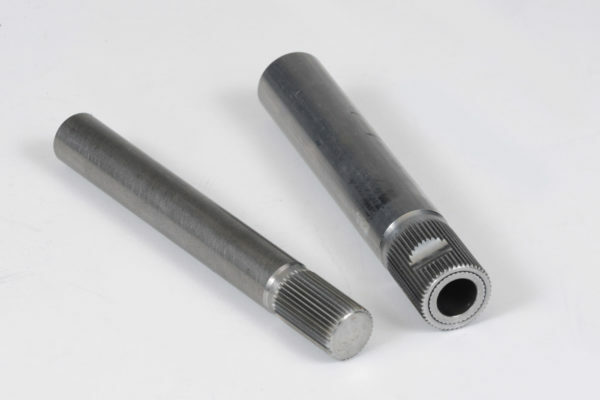 In theory the advantages of newer systems are many, including the elimination of kickback and friction, as well as the ability to adjust the ratio, weight, and response. 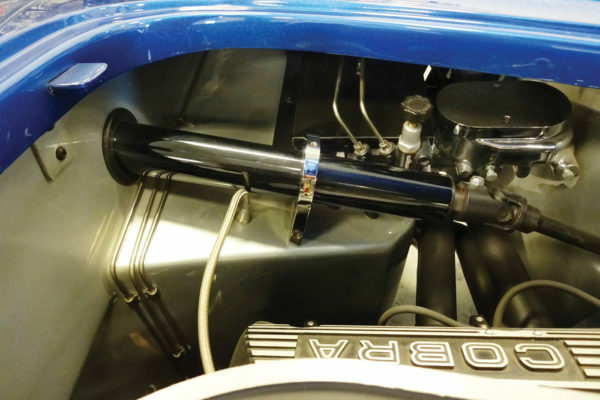 But there’s one vexing problem: None of them provide the feel — a real sense of connection to the road or track — that’s inherent in the hydraulic system. Aftermarket columns in different lengths and shift configurations are now available off-the-shelf in extensive numbers. Also, custom telescopic columns can be obtained to your exact specifications. Supply your manufacturer with a complete original column and photographs and furnish as many relevant measurements as possible, including those from the dash to the top of the column. 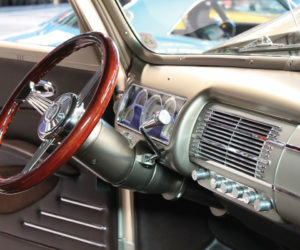 Photographs should show the original column arrangement in place, especially its attachment to the dash and proximity to the pedals. Also indicate the location of the shifter and any other components that might affect column installation. The more details provided, the better the fit. Typically, specialists like ididit can engineer one-off columns in four to five weeks. The columns from ididit are available in bare metal or finished in chromium plate or a black powder coating. 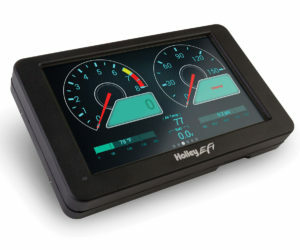 Today’s columns are fairly advanced, but here’s a quick list of basic features to look for: self-cancelling turn signals, four-way emergency flashers, horn actuation, levers and knobs. 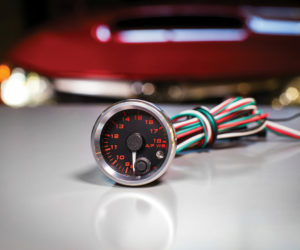 To operate the electrical features and the stoplights, there is a long, flat wiring plug supplied with General Motors color code at the base of most new ididit columns. Because the GM color-code convention is universally understood, its use simplifies mating the components. 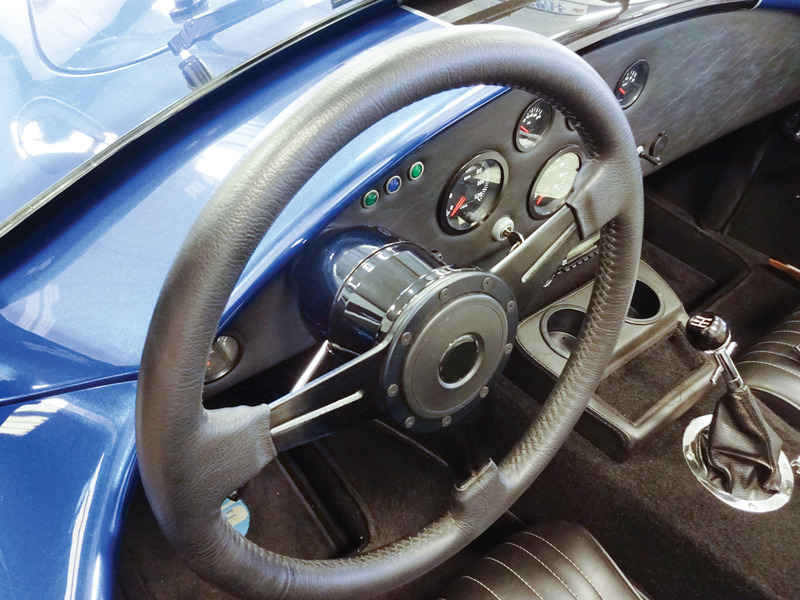 A well-built steering column that’s comparable to a project car’s other superbly engineered components hit rodders where they live. 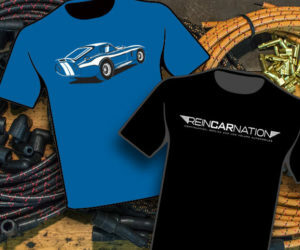 As custodians of fine machinery of bygone generations, they keep them running alive and well — only better. And installing a modern, well-crafted column is a key aspect of this intent.